On January 18, 2019, at approximately 11:40 pm, Swan River RCMP responded to a report of a stabbing at a residence located on 5th Avenue South in the community of Swan River. Upon arrival, officers were led to an injured and unresponsive 39-year-old male, from Swan River, in the residence. EMS attended and initiated treatment to the victim who was later pronounced deceased at the scene. 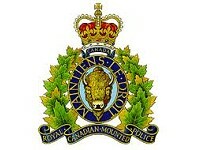 On January 20, 2019, RCMP located and arrested a 30-year-old male, from Swan River, who remains in police custody and are not searching for other suspects. Swan River RCMP along with our Major Crimes Unit continue to investigate.